By now, many of you will be starting to see some fantastic results from using Isagenix products and leading a healthier lifestyle. Now it’s time to look to the next stage of your transformation! Maybe you’re feeling ready to take your goals one step further, or are looking for a more sociable element to make your Isagenix journey more enjoyable? Or perhaps you’re wondering how to stay motivated when temptations creep in? If any of these sound familiar, the IsaBody Challenge could be exactly what you need. So what is the IsaBody Challenge? It’s a 16-week total transformation programme that’s all about you. No matter your size, shape, age or fitness level, we invite you to set personal targets and truly push yourself to achieve your fitness or weight loss goals and change how you think about achieving them. As well as the fantastic personal accomplishment, when you complete the Challenge you’ll be rewarded with a £150 product coupon along with other prizes for your efforts and commitment. One of 3 Honourable Mentions who receive £500 in cash, a professional photoshoot and a local event ticket. The IsaBody UK Grand Prize! This is the person who has achieved the most incredible transformation. They will win £5,000 in cash, a professional photoshoot and a trip to Celebration! This is an amazing prize that’s up for grabs, but you have to be in it to win it. Register now for the 2017-2018 IsaBody judging period by following the steps below. Don’t delay – your goals could be just 16 weeks away! Login to your Back Office and select the ‘Contests & Promotions’ tab. Click on the IsaBody Challenge image, and then follow the ‘View Contest’ link. Enter your details including height, weight in kilograms*, date of birth and your Challenge start date. Upload your ‘Before’ photos to help track your progress. Full details can be found here. 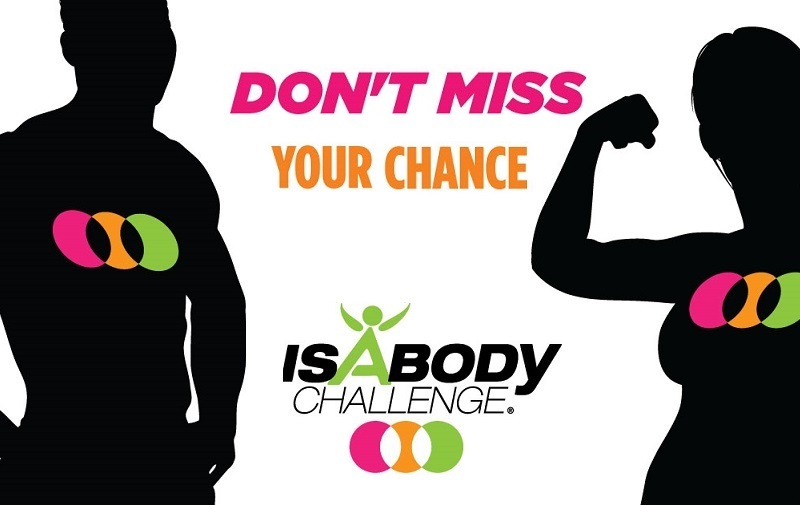 *Please note that when signing up to the IsaBody Challenge, you should enter your weight in kilograms. Due to a minor technical glitch with the sign-up process, the system does not recognise when weight is entered in pounds and stone, and we don’t want anything to delay your transformation! We do apologise for any inconvenience. Feel free to contact Customer Care on 0808 189 0490 if you have any questions. Once you’ve signed up, don’t forget to join the IsaBody Challenge UK Facebook Group to be part of a positive online community exclusively for IsaBody participants! Keep checking back regularly to share your progress, get the most up-to-date Challenge information, get your questions answered and learn tips for success. Want to hear what an IsaBody Honourable Mention has to say or how a Grand Prize Winner got to where she is today? Follow the links and get ready to be inspired. We can’t wait to see what you achieve. Good luck!